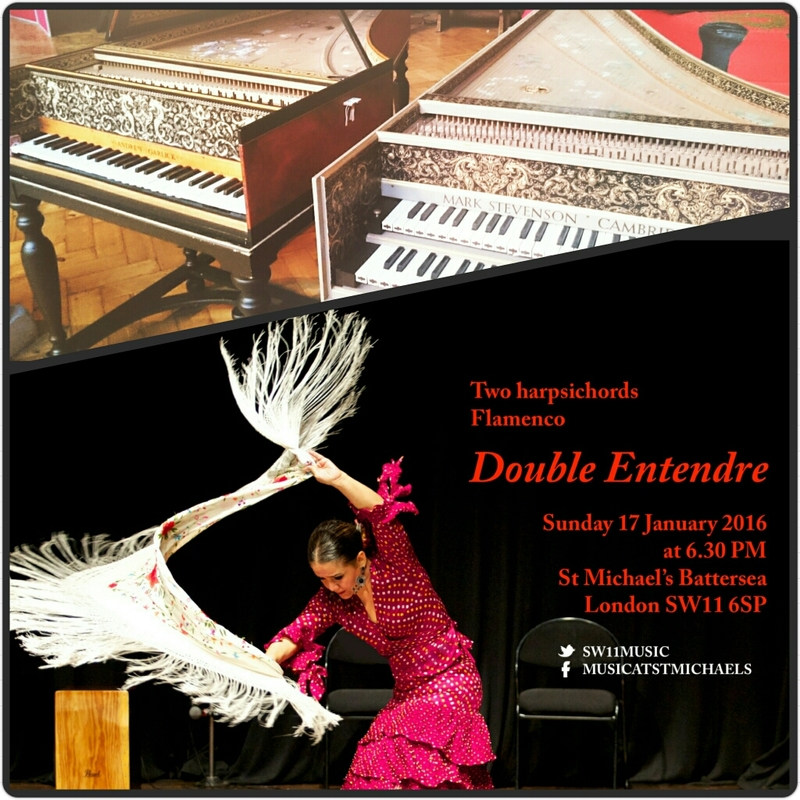 On Sunday 17 January 2016 at St. Michael's Church, Battersea, there is the chance to experience the intriguing combination of two harpsichords and flamenco dancer. Polish harpsichordists Pawel Siwczak and Katarzyna Kowalik will be performing a programme for two harpsichords and four hands, including music from Handel's Water Music, fragments from Purcell's King Arthur and Dido & Aeneas, dance movements by Couperin & Le Roux, Buxethude's Ciaccona, Mozart's Sonata for four hands and Boccherini's Fandango. As if its not enough to be given the chance to see whether two harpsichords are double the noise" or "twice as much harmony", the two will be joined by flamenco dancer Paola Santa Cruz. Katarzyna Kowalik was a member of Handel House Talent during the 2014-15 season. Pawel Siwczak is director of music at St Michael's Church, Battersea, and responsible for the monthly concerts there. The concert is part of the series Music at St Michael's and tickets are available on-line.